Whether your flooring is hard or soft, we can ensure it stays clean and most importantly we can add additional protection to help it stay cleaner and last longer. Cleanliness and protection of surfaces and floors can save you money in the long term as your surfaces last longer and perform as they need to for longer. 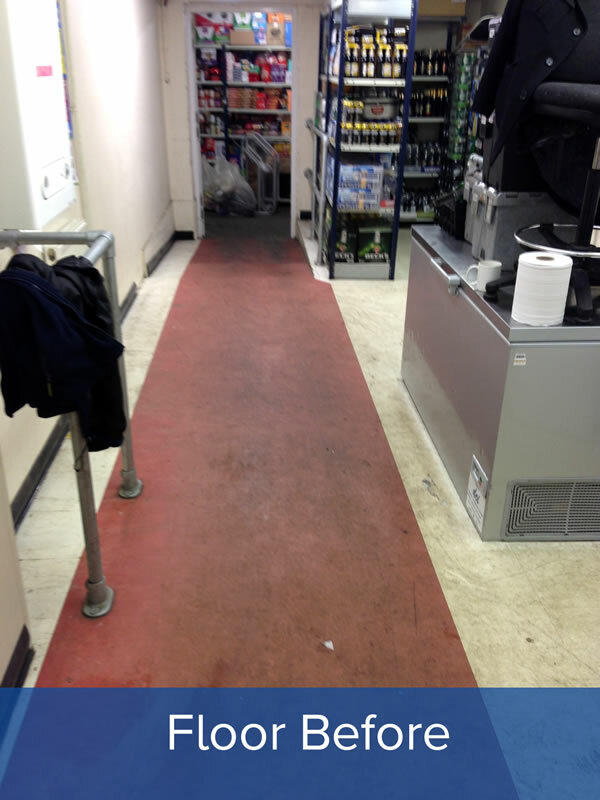 We can deal with any surface from concrete to carpet right through wood, laminate and even specialist protective surfaces such as anti slip. On top of cleaning and preventative measures for your floor we also offer a full restoration service. In many cases we can bring a tired surface back to new with our professional polishing or sanding services. Once the floor is restored we can apply the correct protective seal to lock in the “as new” appearance and help keep your flooring looking its best for longer! 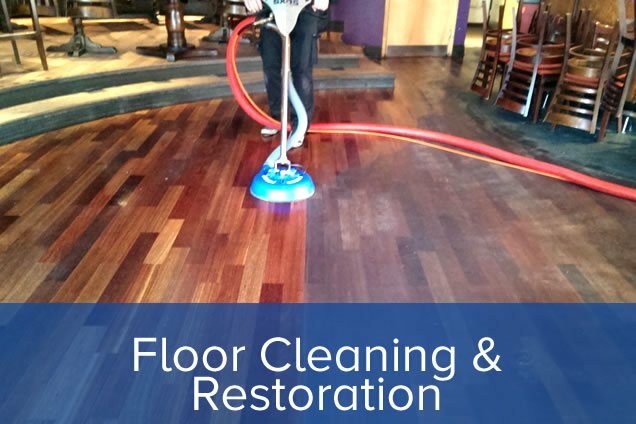 Our floor restoration service is especially popular with retail outlets and wooden dance floor venues. 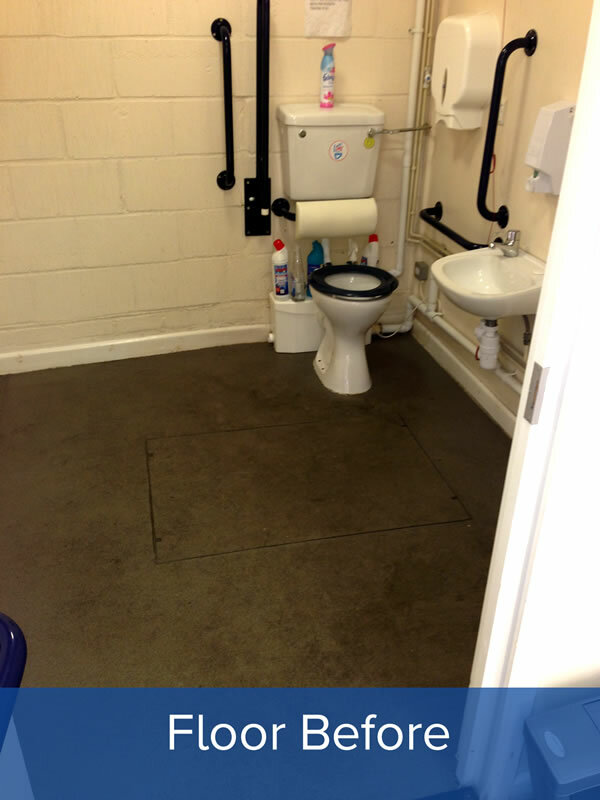 T&H Contract Services have been specialising in hard floor cleaning for the past 30 years. Following a FREE Site Survey we will recommend the best treatment for your floor and if necessary recommend a maintenance programme to be followed. Below are the different methods of floor cleaning used at T&H Contract Services. This option of cleaning involves completely chemically stripping the floor surface before resealing & polishing. The floor is deep scrubbed with a slow speed rotary machine with stripping pad & appropriate chemical stripping agent to remove soil and previously applied seal / and or polish. The floor surface is then sealed to protect and polished to add finish to surface (Matt, Satin, Gloss). This is not a maintenance procedure but a complete renovation task and is only needed when the floor seal has become worn, broken or impregnated with soil. 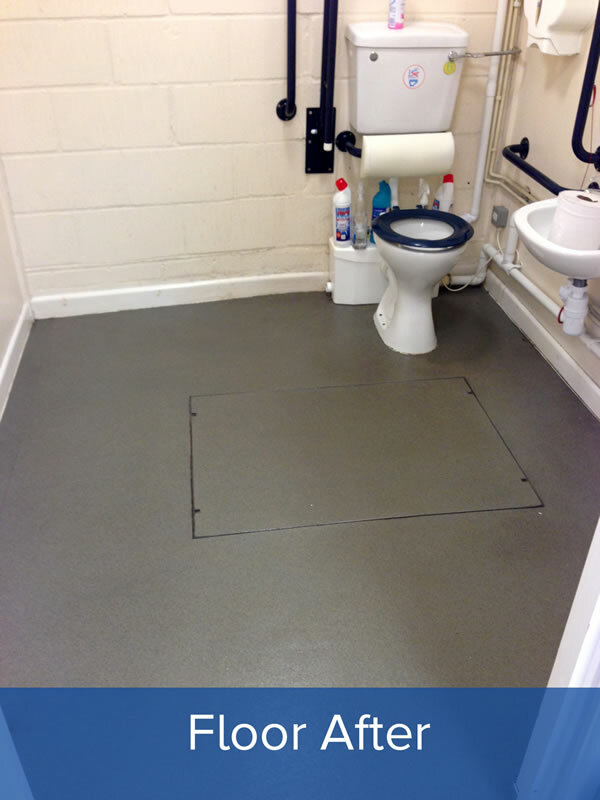 All sealed floor will require this treatment at some stage, even if they are being regularly maintained. This option of cleaning involves carrying out the same specification as a strip & reseal, but to a lower level. The floor is lightly scrubbed with a neutral detergent to remove soil and then a coat(s) of polish is applied. When using this method of floor maintenance, the floor is being completely removed of soil and once polished will look brighter and more evenly finished. Because a coat of polish is being applied each clean you are constantly adding protection, much more so than from burnishing meaning the procedure doesn’t need carrying out as often. This option of cleaning involves scrubbing with a slow speed rotary machine with appropriate pad & cleaning agent to remove heavy or ingrained soil. Once scrubbed, the floor surface is damped mopped and left to dry. This option of cleaning involves scrubbing with a slow speed rotary machine & high speed burnishing with diamond pads, the diamond pads are part of the invaluable diamond polishing process, and will restore the natural beauty and gloss of stone and other hard flooring materials such as Terrazzo, Granite, Marble and even Concrete. When utilising diamond pads in the floor polishing process, you can achieve an amazing finish with a high sheen effect, without resorting to the use of harmful chemicals. Although a chemical free process, this is a labour intensive procedure. 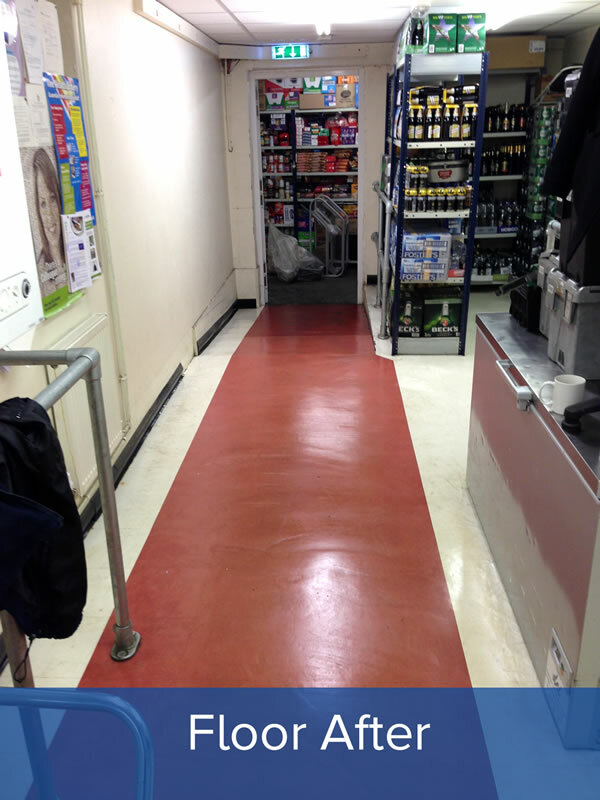 Sheet and tiled vinyl flooring is commonly used in retail shops and this option of cleaning is the most commonly used to maintain such floors. This option involves sweeping/vacuum and washing the floor surface before burnishing (buffing) the floor with a high speed rotary machine. A fine mist of polish based maintainer can be sprayed over the floor surface and burnished to create added protection and high shine. When using this method of floor maintenance, the floor is only having a small amount of polish added to the surface, which means there is no build-up of excess polish in low level use areas. The high speed burnishing not only removes built up soil but adds shine as it also hardens the existing floor seal, making the soil barrier stronger. Another advantage is that there is no need to have the floor space completely clear as the polish added is burnished into the surface immediately so there is no drying time involved, meaning you can clean a furnished room in sections by just moving tables, chairs, stock etc. The only disadvantage with this method of cleaning is that it needs to be carried out regularly to be effective. As you are only adding a small amount of polish each time you clean.